Server virtualization can reduce costs, decrease power consumption and footprint requirements, and improve resource utilization. HP BladeSystem combines server, networking, storage, and management all in one modular infrastructure, making it a top solution for today's demanding converged and virtualized infrastructures. 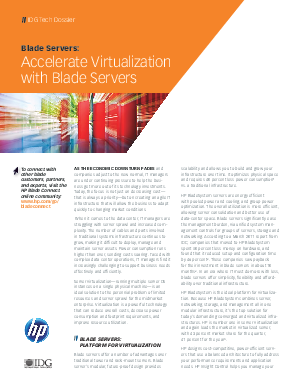 Learn about the architectural approach and why HP BladeSystem is the ideal platform for virtualization.